Westin’s tiny hand surrounded by his parents’ hands. 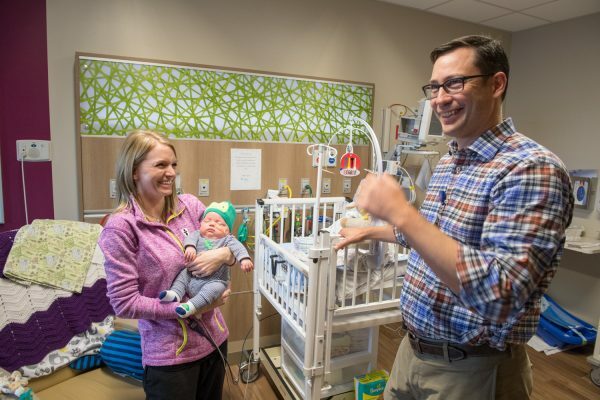 On July 19 in the third year of her residency, Dr. Rachel Nebelsick, pregnant for the first time, was on rotation at Akron Children’s Hospital when she went into premature labor at 23 weeks. Westin was born at 25 weeks gestation and weighed 1 pound, 13 ounces. The budding pediatrician was immediately admitted to Cleveland Clinic’s Akron General across the street. It was the start of an ordeal that no amount of medical training could prepare her for, and one that will forever change her as a doctor. Rachel had a perfectly normal pregnancy. She was in excellent health, and meticulous about prenatal care. There were no answers as to why she went into labor 16 weeks early. But in a matter of hours, her entire focus became keeping her baby in as long as possible. Neonatologist Andrew South and other doctors from Akron Children’s visited daily to check on her. They prepared her for what would happen. She understood the medical aspects all too well. But she couldn’t think like a doctor. She was a scared, first-time mom. “A scared mom who has just enough knowledge to understand the worst things that can happen,” said Dr. T.J. Wolski, a friend and chief resident of pediatrics. Her colleagues and friends at Akron Children’s held their collective breaths, knowing that babies born at 23 weeks have a slim chance of surviving. Fellow medical resident at Akron Children’s and Neonatologist Andrew South visited with Rachel and Westin frequently to provide guidance and support. Medical intervention and strict bed rest helped delay the birth. 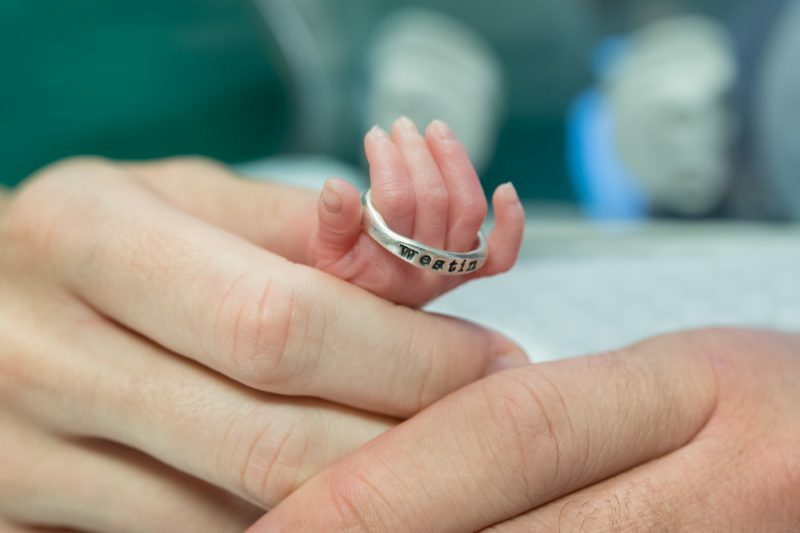 On Wednesday, Aug. 3 − just 2 weeks after she went into labor − Rachel gave birth to Westin at 25 weeks. He weighed 1 pound, 13 ounces. 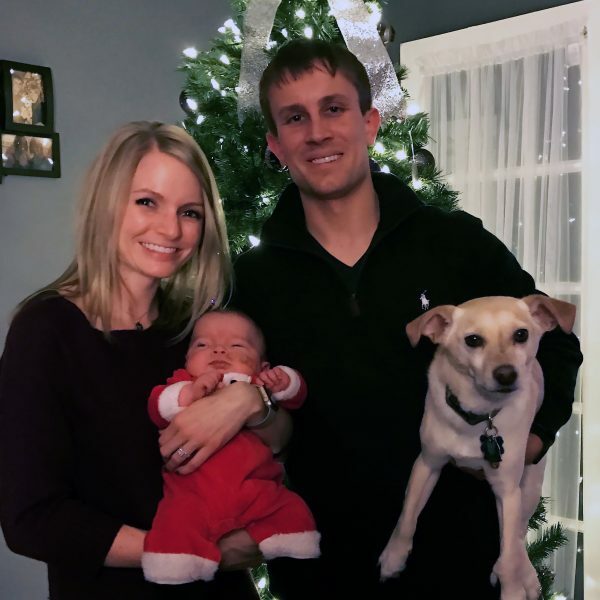 Rachel and her husband, Jeremy, a manager of the orthopedic practice at Akron General, didn’t know what to expect in the first days and weeks in the neonatal intensive care unit. Westin thrived. 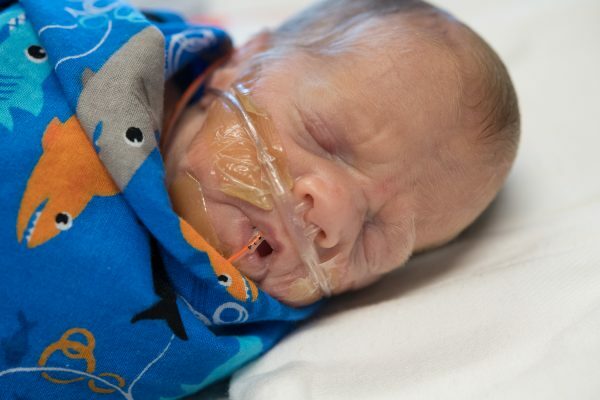 After 2 weeks, doctors removed his breathing tube – a huge step forward. The newborn never needed it again. One of Westin’s many feedings with mom Rachel and dad Jeremy during their 121-day stay in the NICU. After 6 weeks, Rachel returned to work, comforted knowing that she was always just a short walk from Westin. Carly would sometimes text Rachel photos from the NICU. Rachel was back and forth to the NICU during lunch and after work, often sleeping on a couch in the unit. Many days she didn’t go outside. Rachel and Jeremy’s families live in South Dakota. The couple met in middle school there. Her colleagues at Akron Children’s were like family, bringing Rachel and Jeremy meals every day and offering unending support. A doctor’s mother who had never met Rachel stitched together a quilt for her and Jeremy. Other residents stepped up to cover for her at work. “Without saying it, everyone understands that you take care of your own,” said T.J.
After 121 days in the NICU, Westin came home Dec. 1. 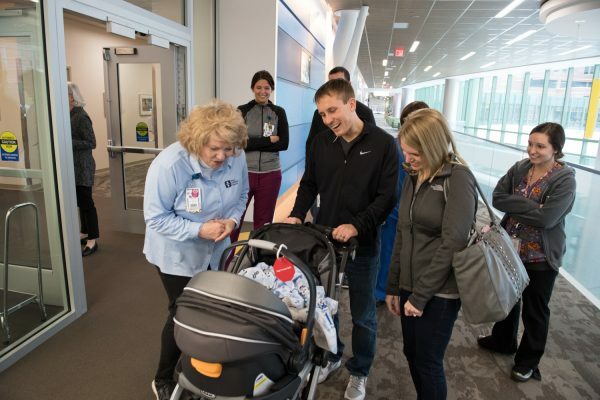 Carolyn Carr, who works at the information desk near the NICU, says goodbye to Westin as he leaves the hospital for the first time with his parents and their friends. Westin is busy growing strong at home but still has some issues from being born 16 weeks premature. On a recent afternoon, he was smiling and cooing as Rachel held him in a recliner chair. 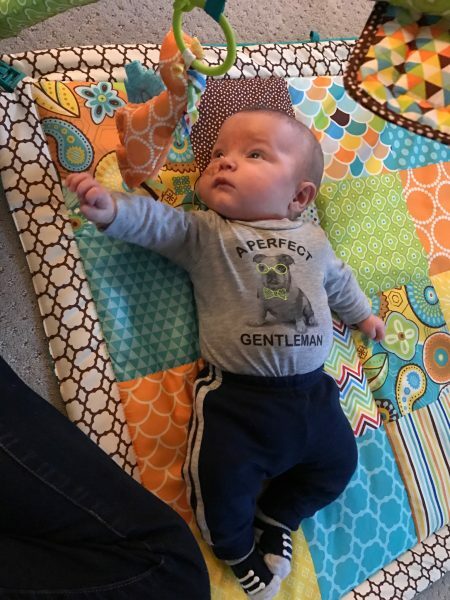 His weight was up to 11 pounds, 4 ounces. He has some ongoing preemie issues such as feeding difficulties, and has a nasogastric tube to provide extra calories. He receives physical and occupational therapy, and will need surgery for hernias. “We still have battles, as any preemie parent does,” she said. Her challenges include dealing with the emotional aftermath. She has taken time off with Westin at home, and will return to work in February. Later this year, she’ll be a chief resident in pediatrics.